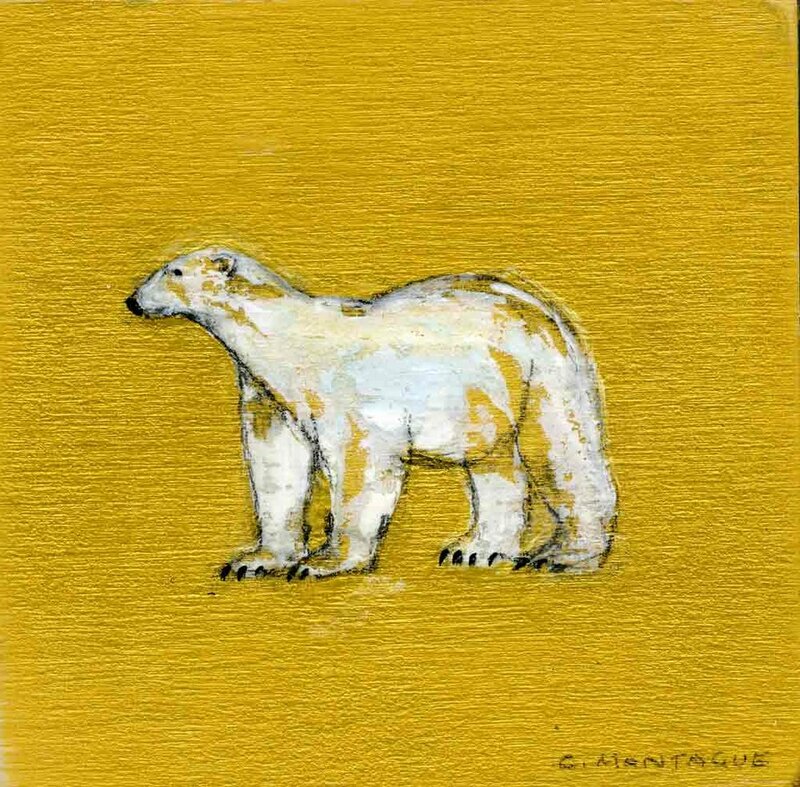 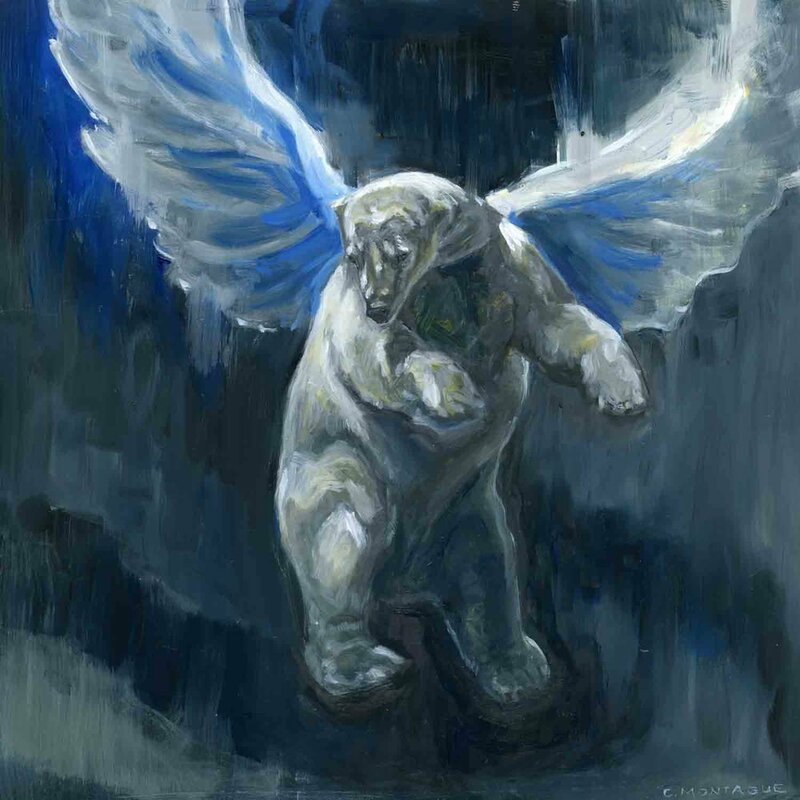 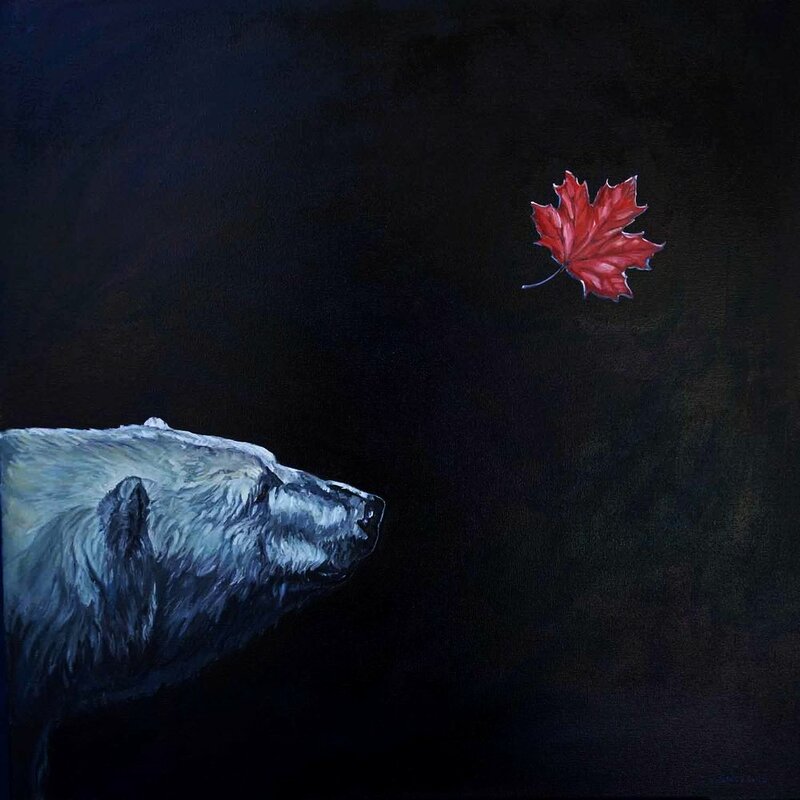 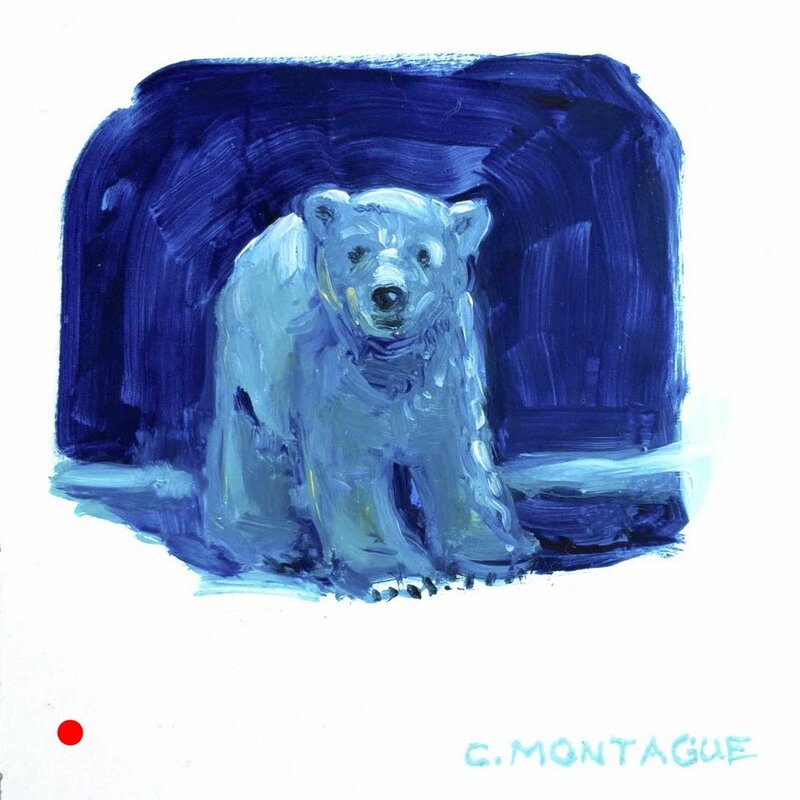 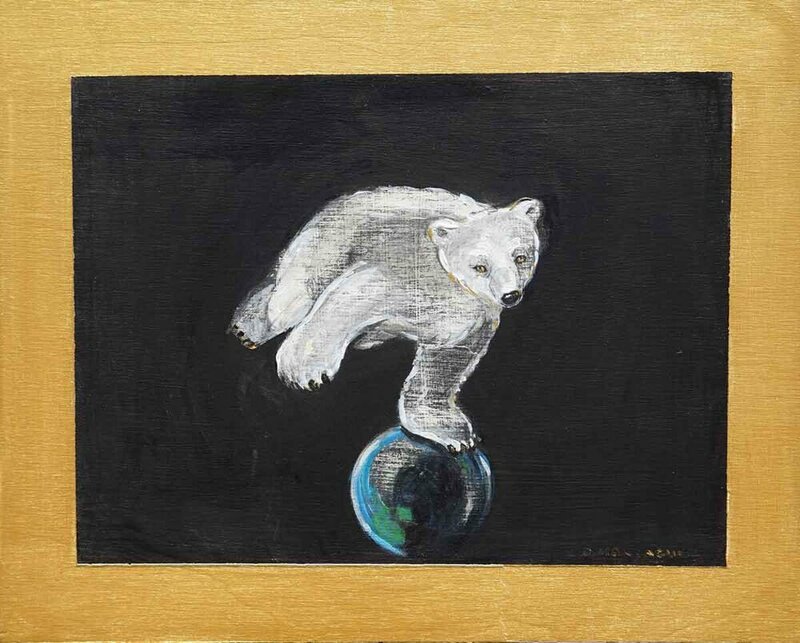 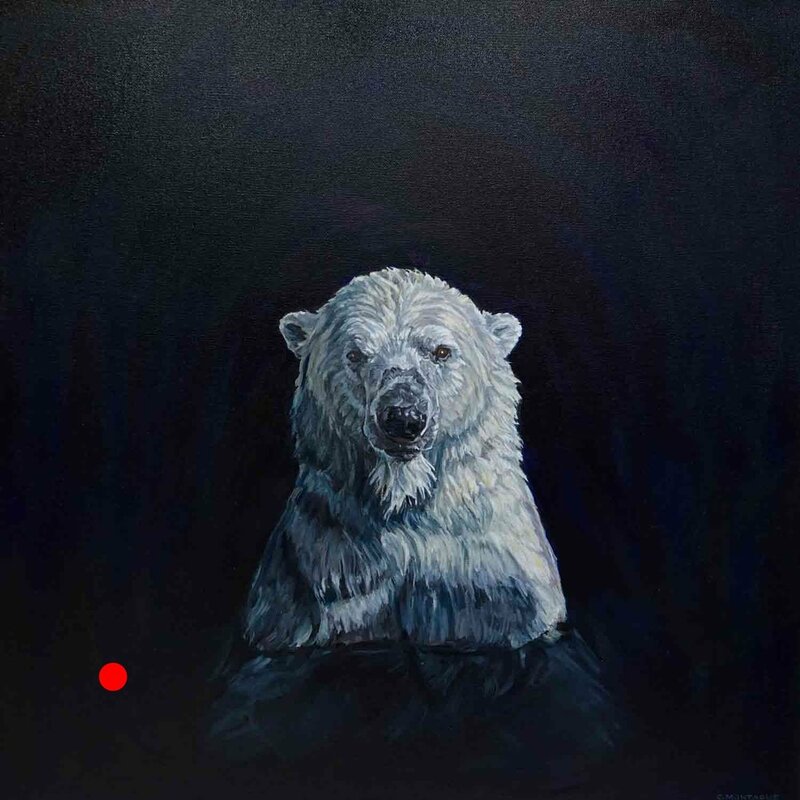 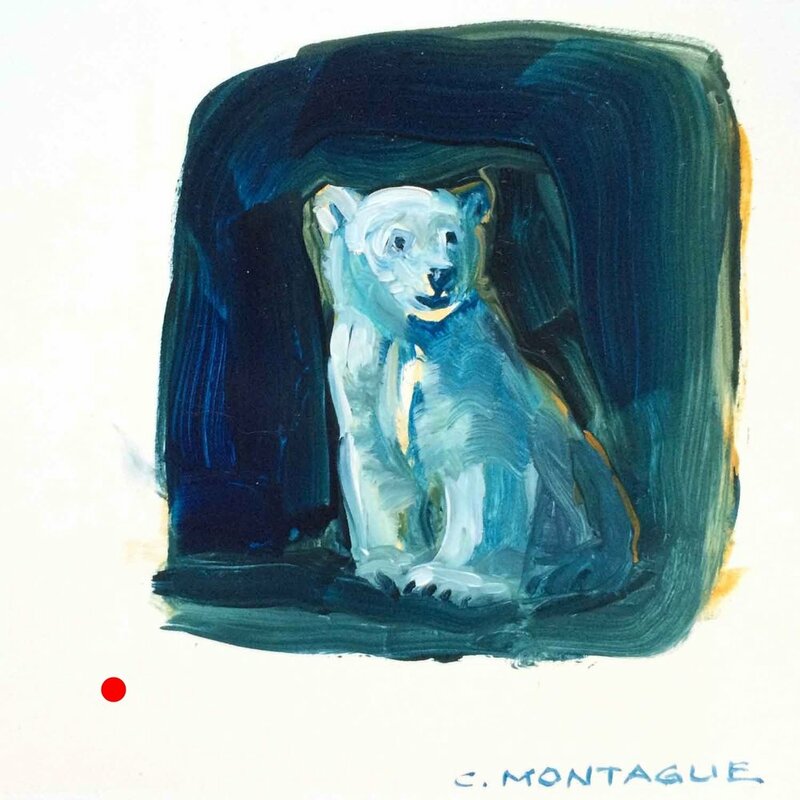 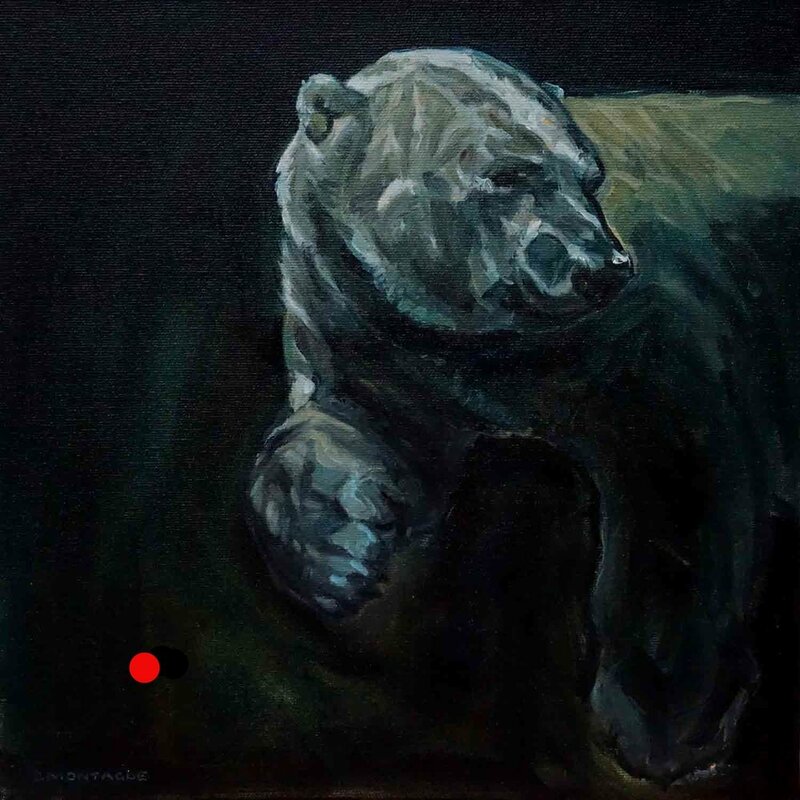 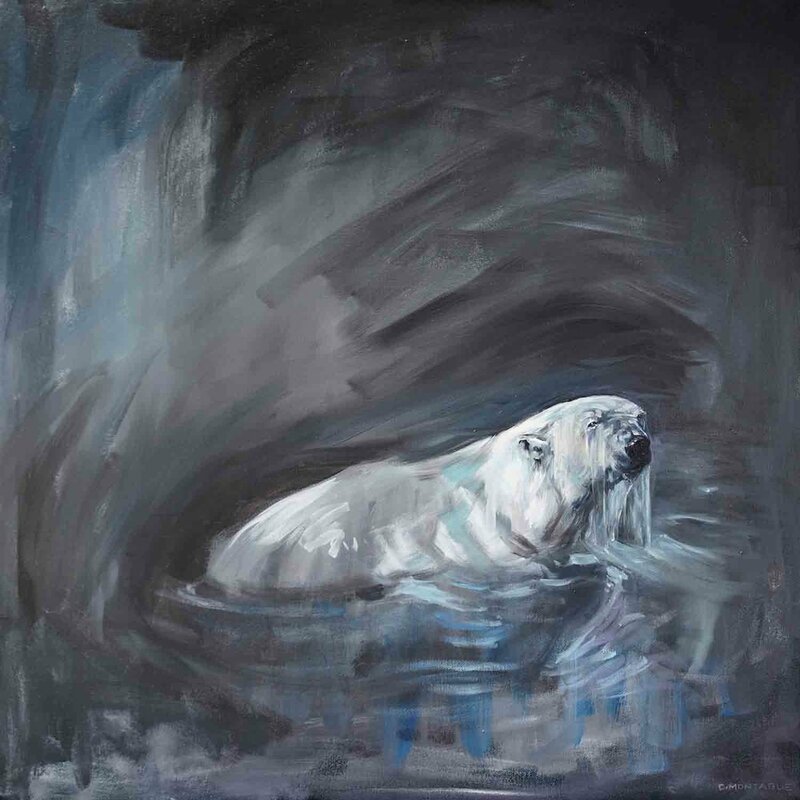 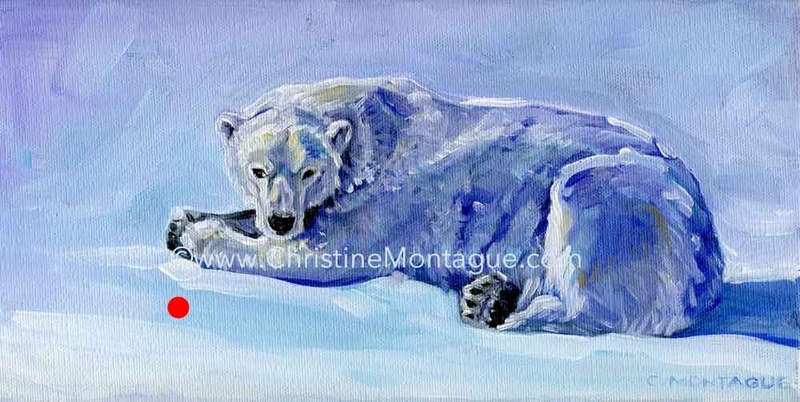 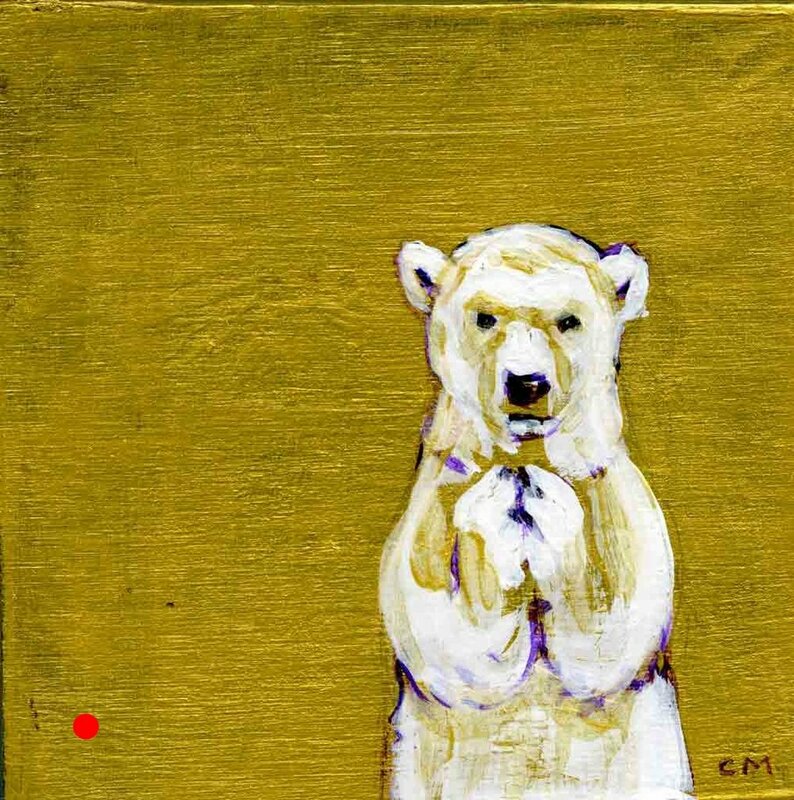 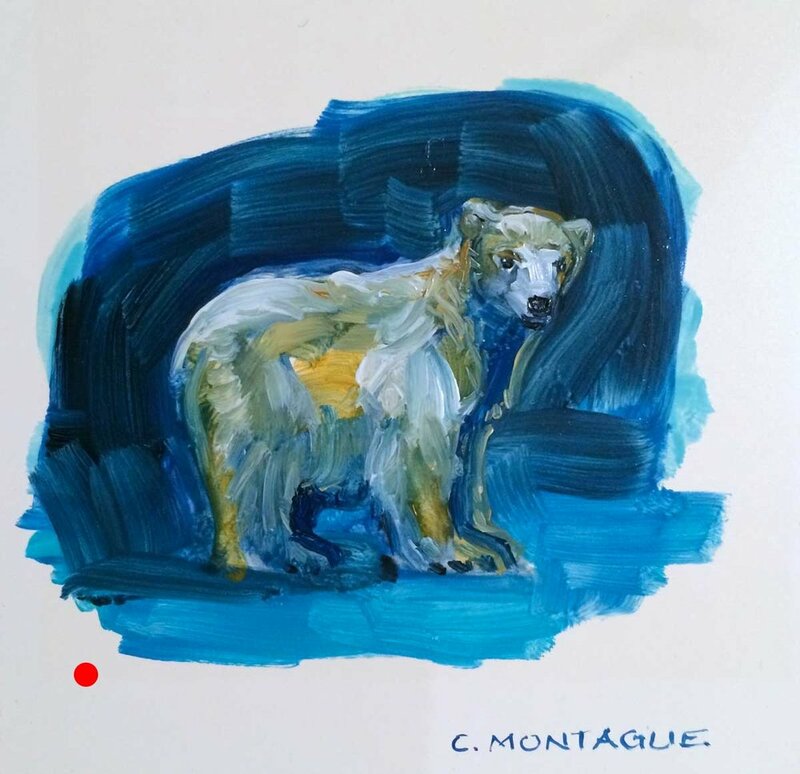 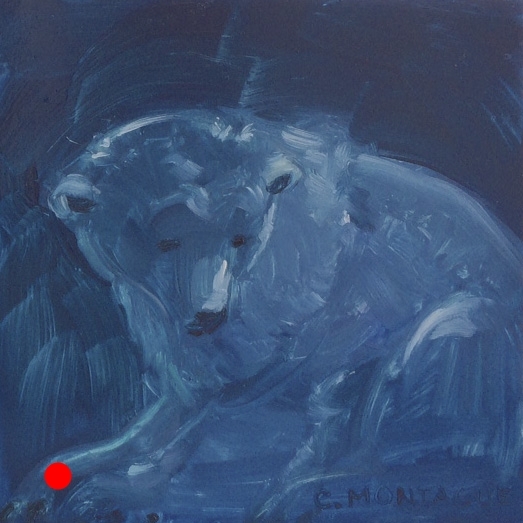 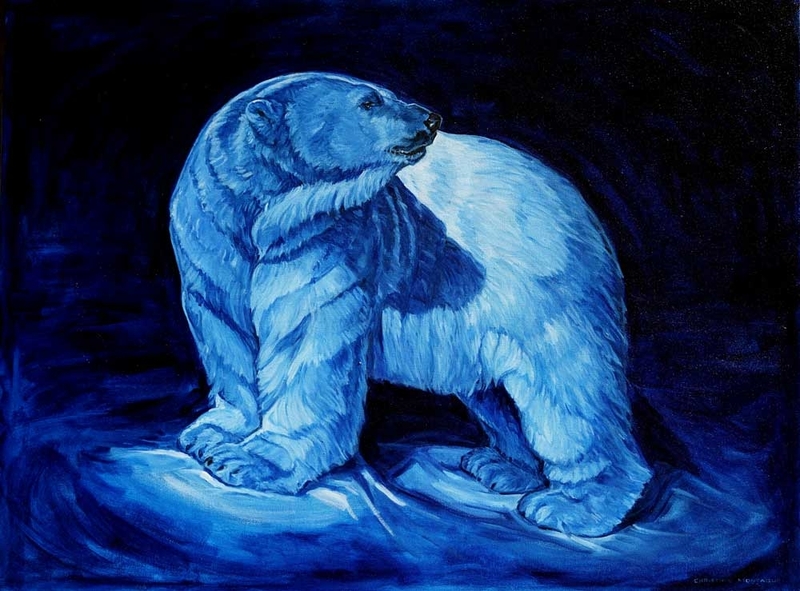 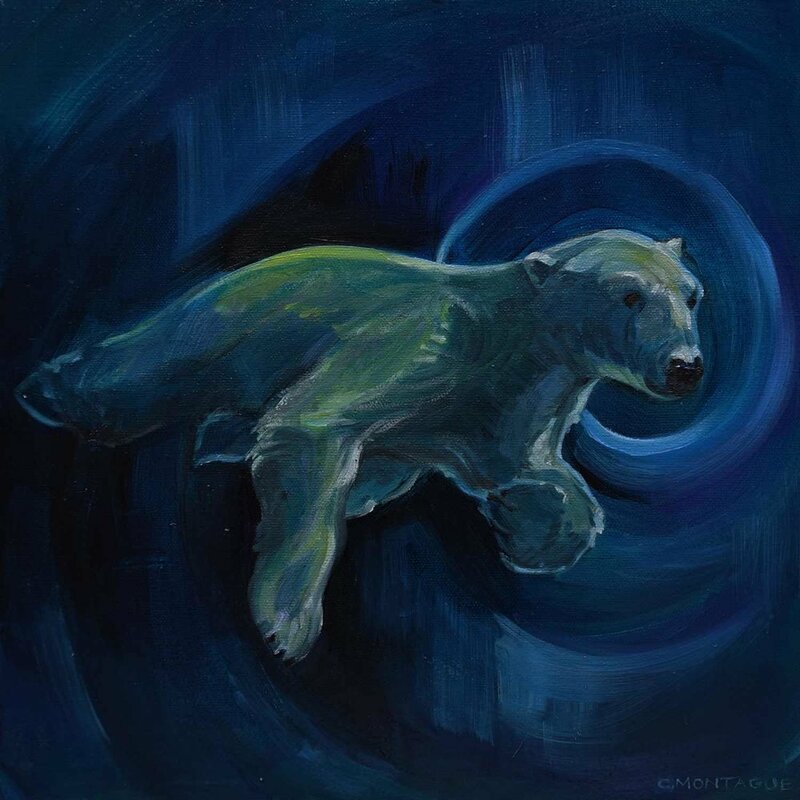 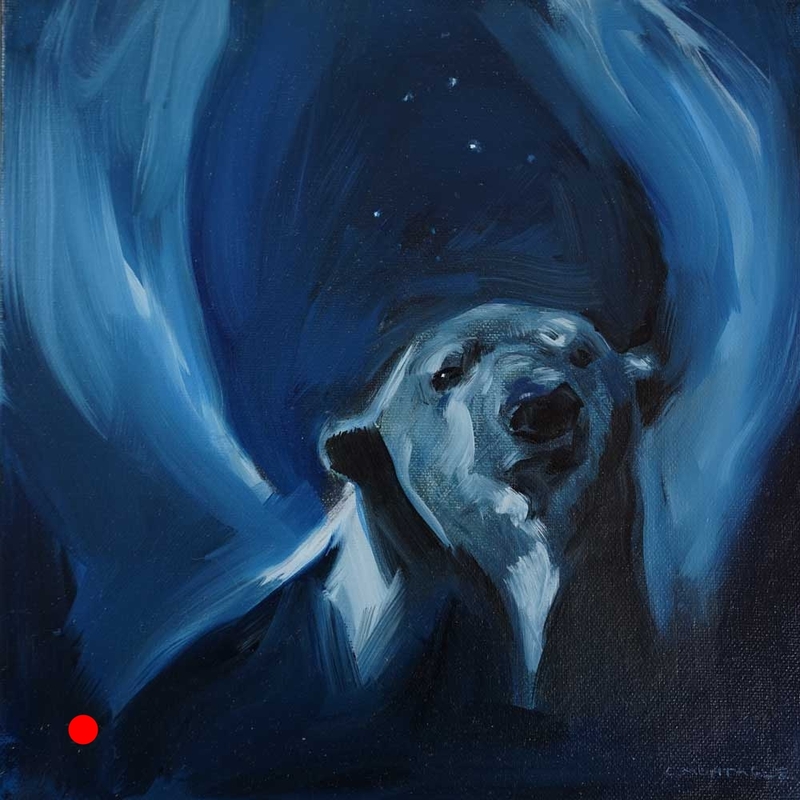 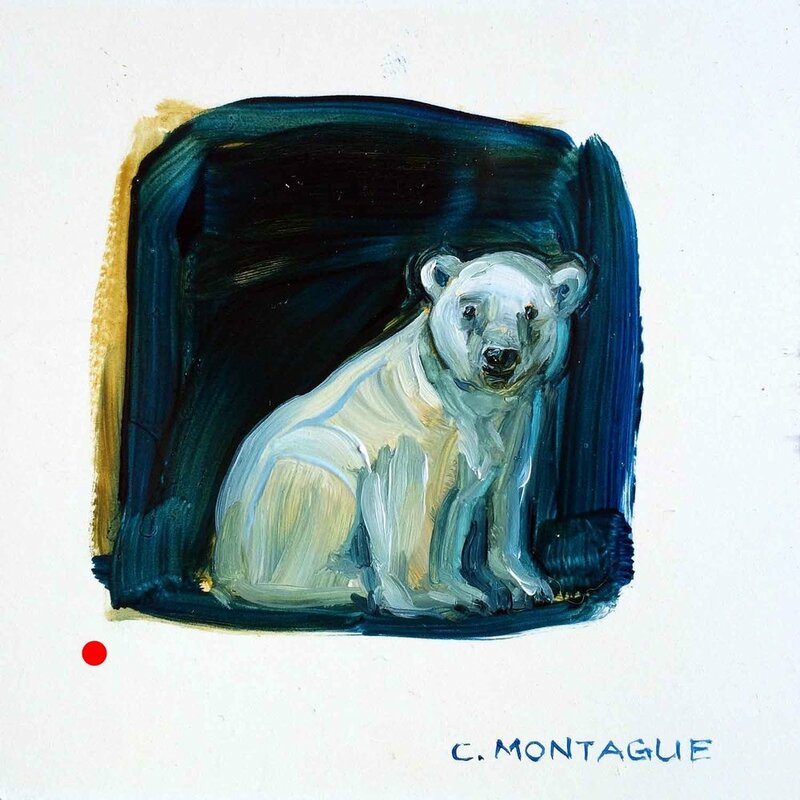 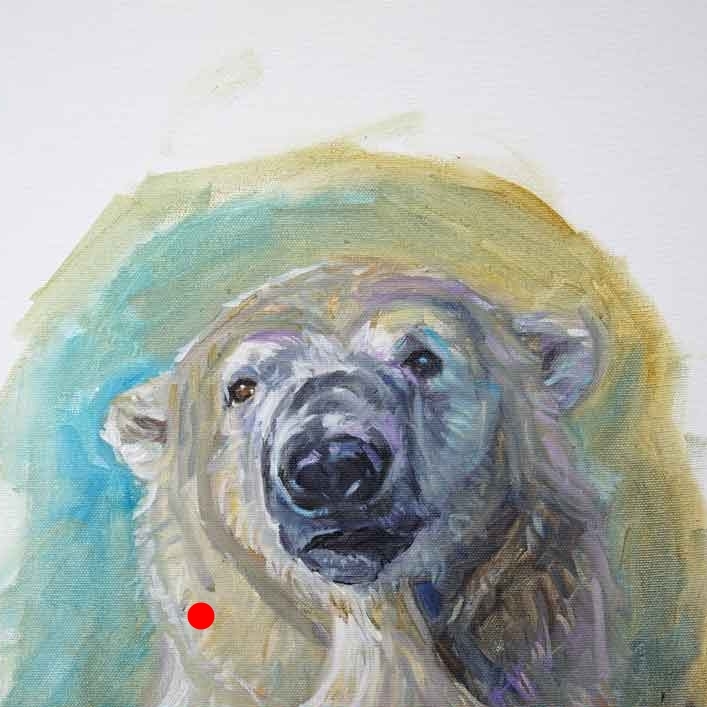 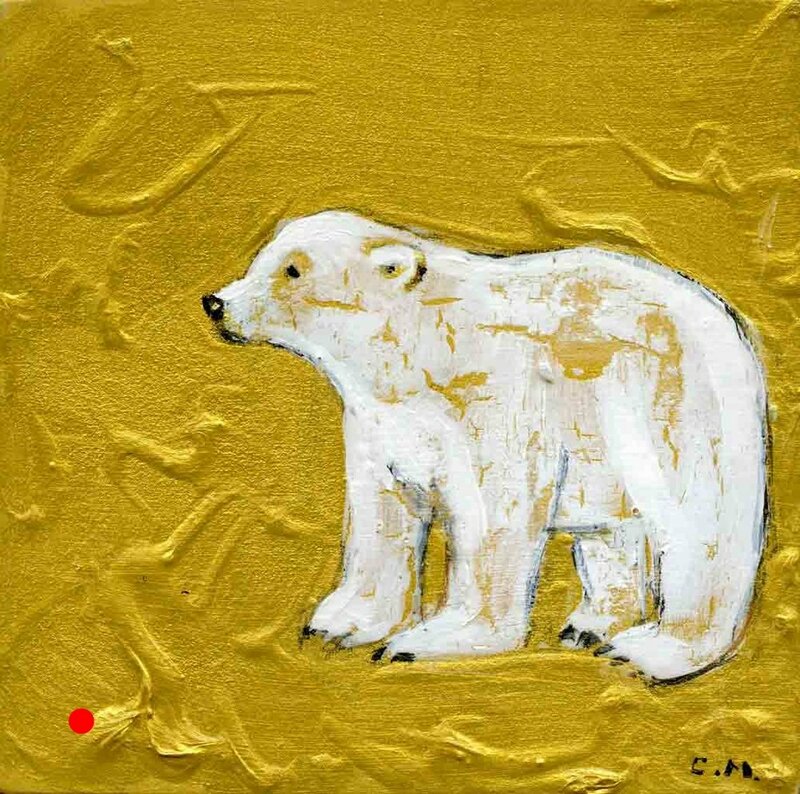 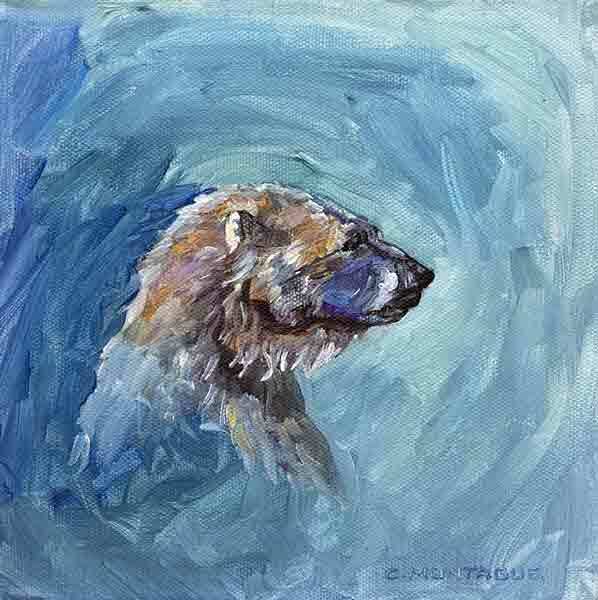 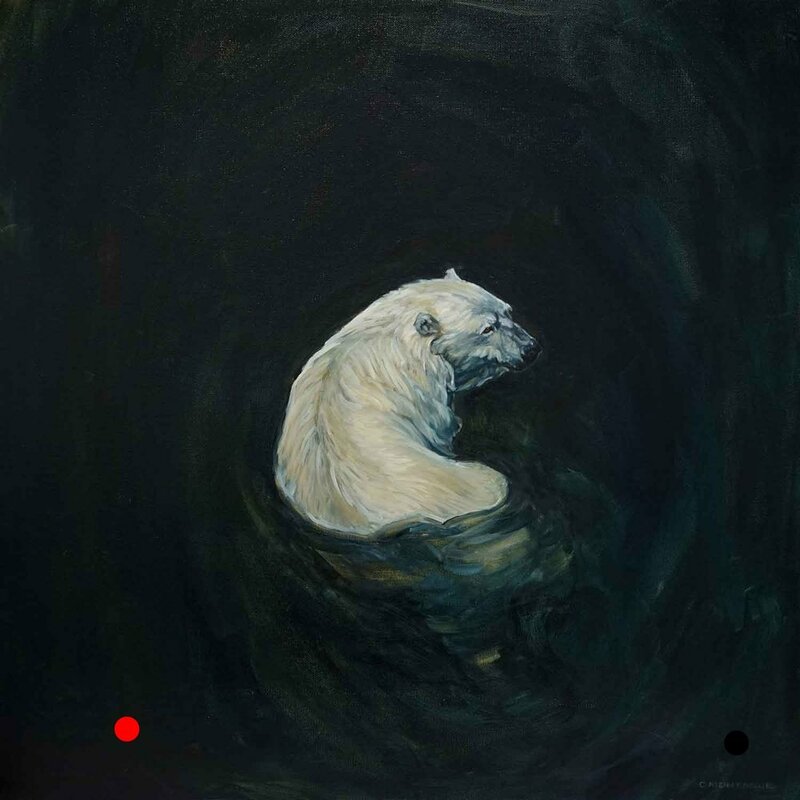 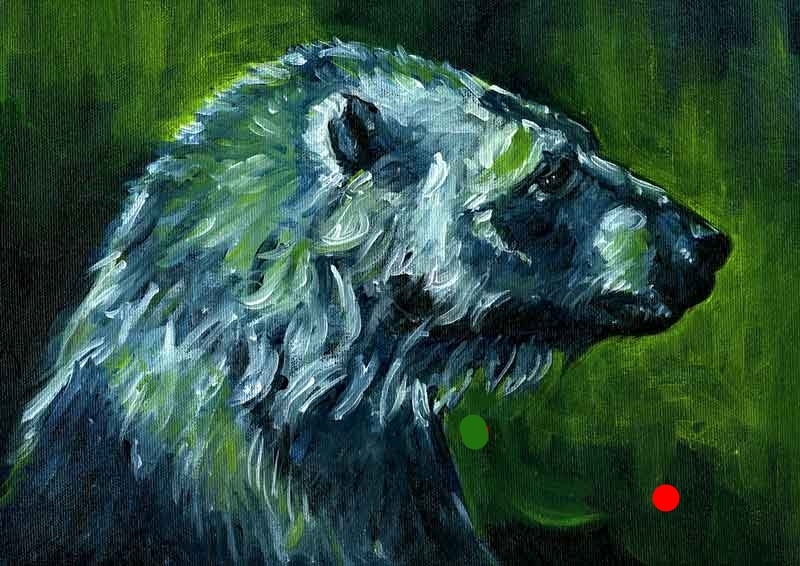 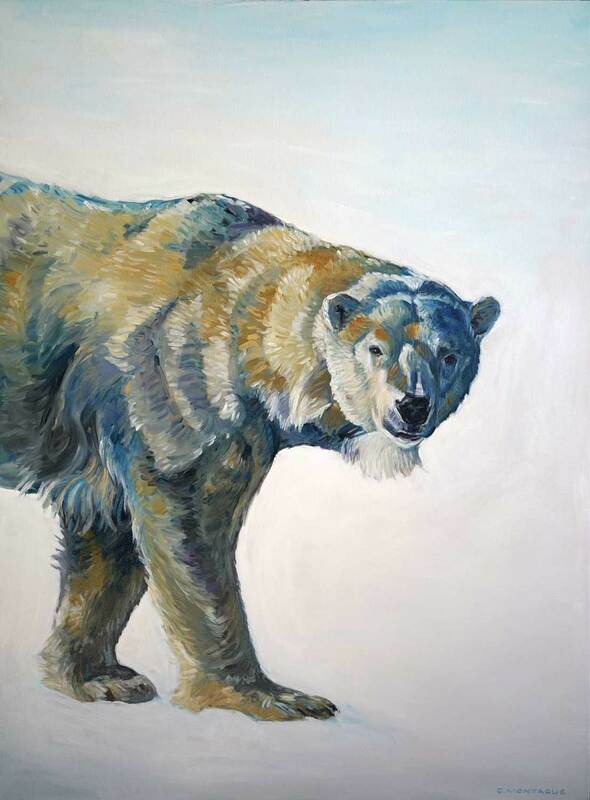 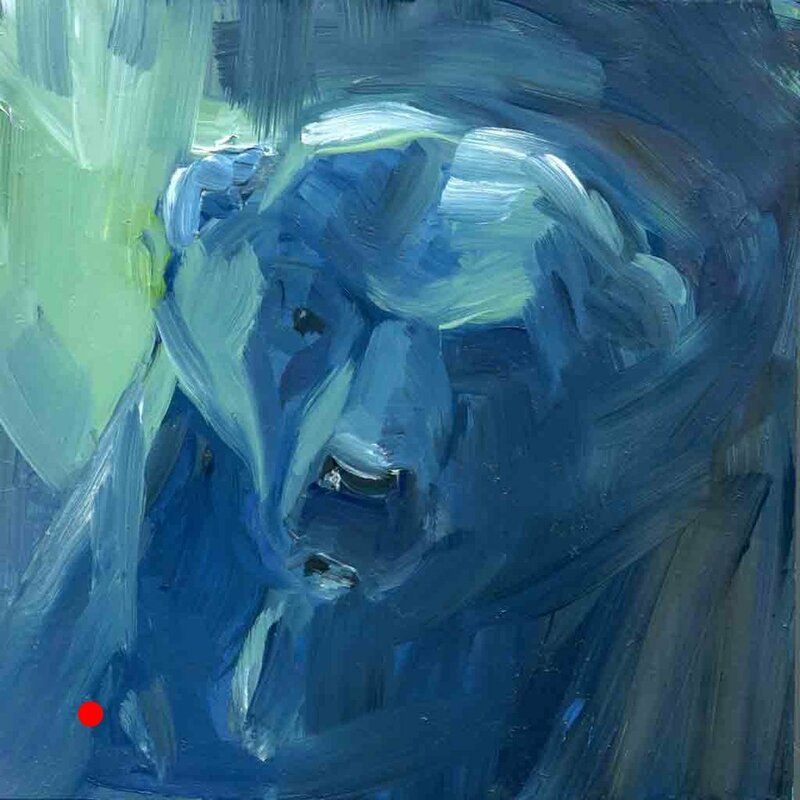 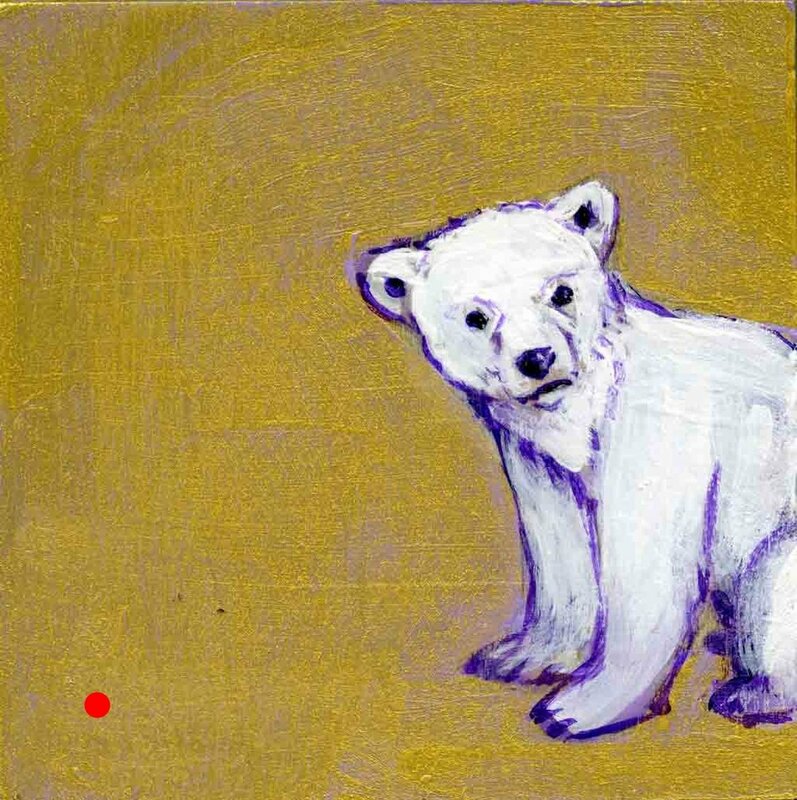 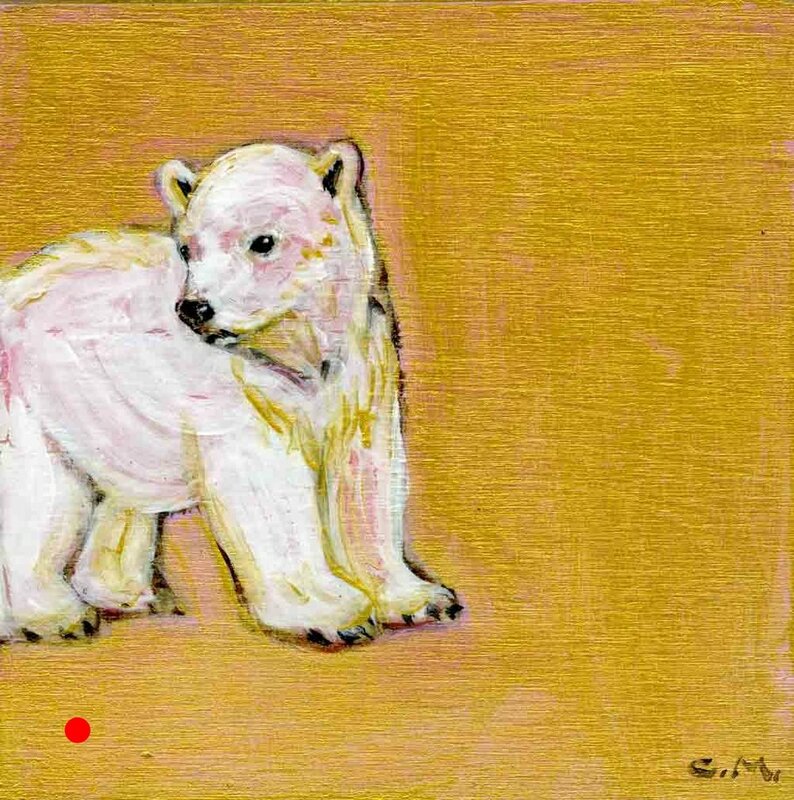 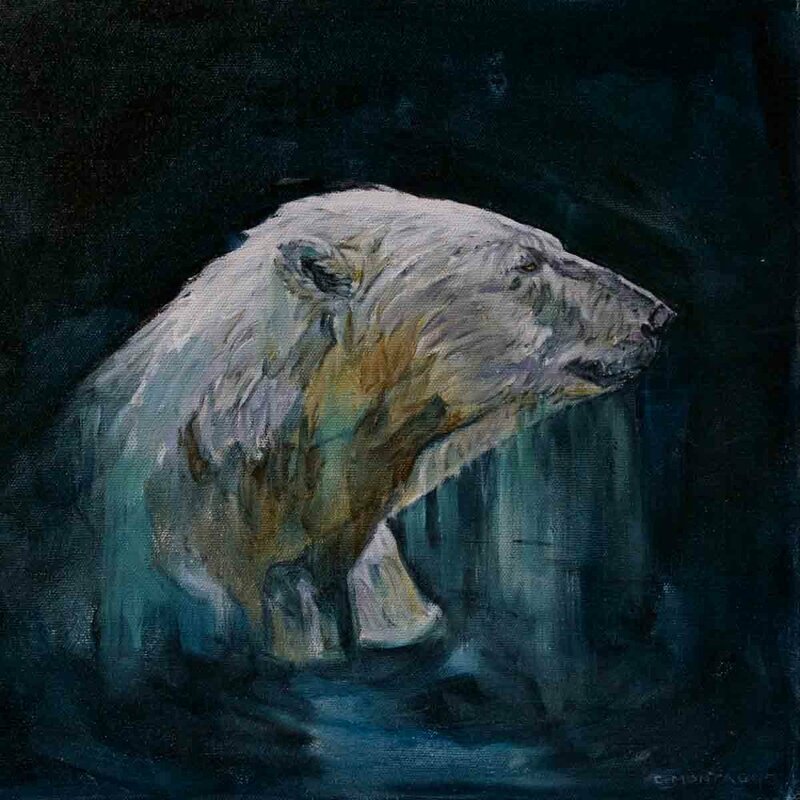 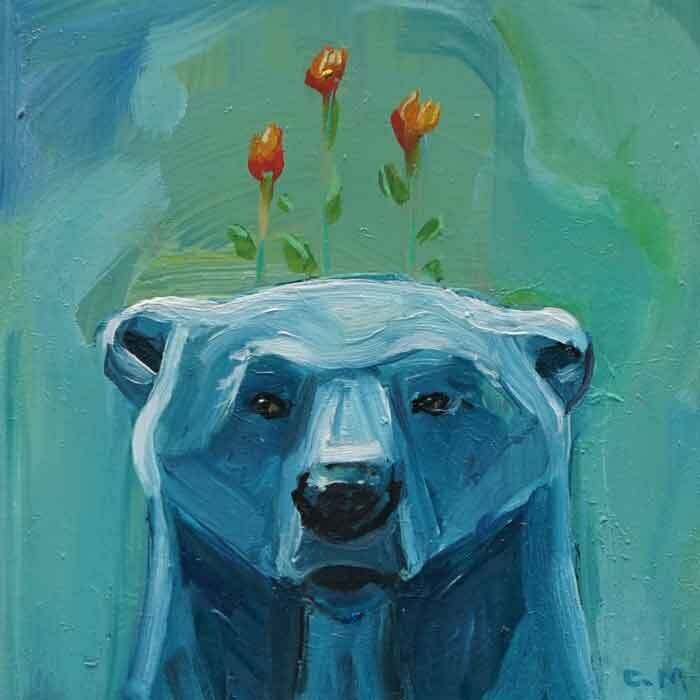 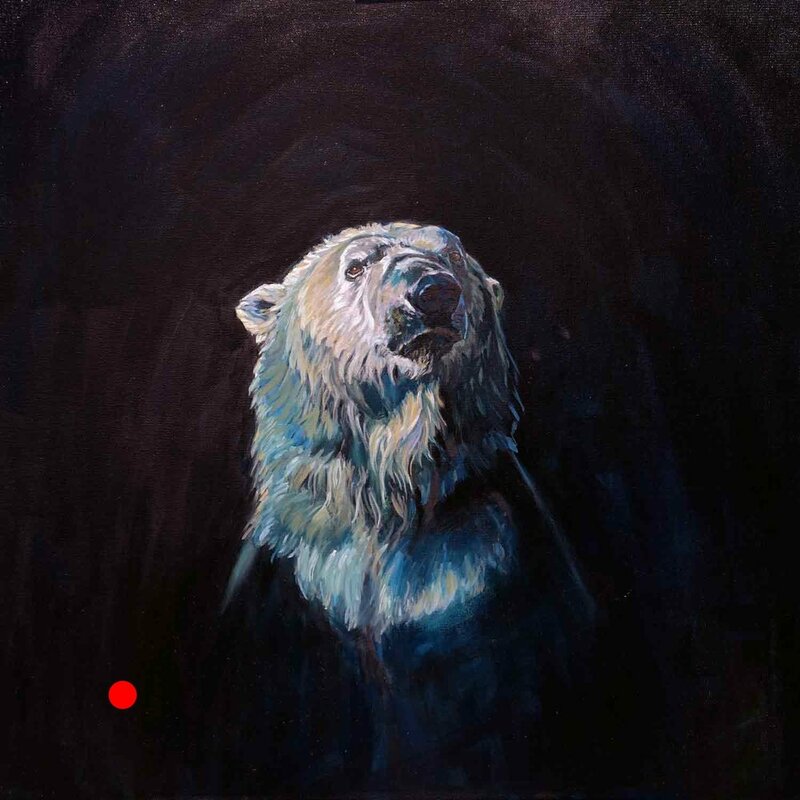 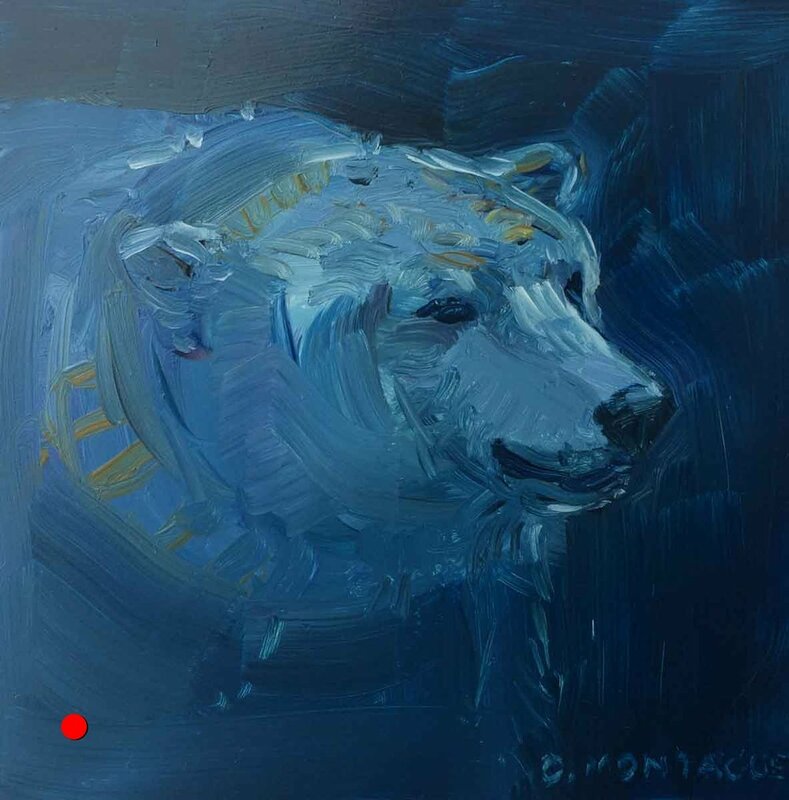 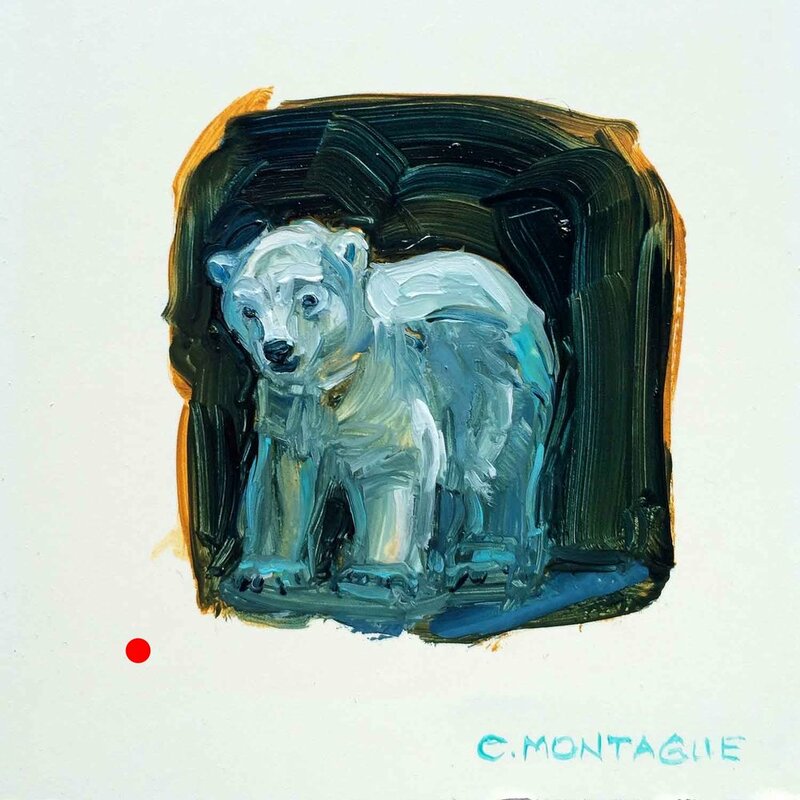 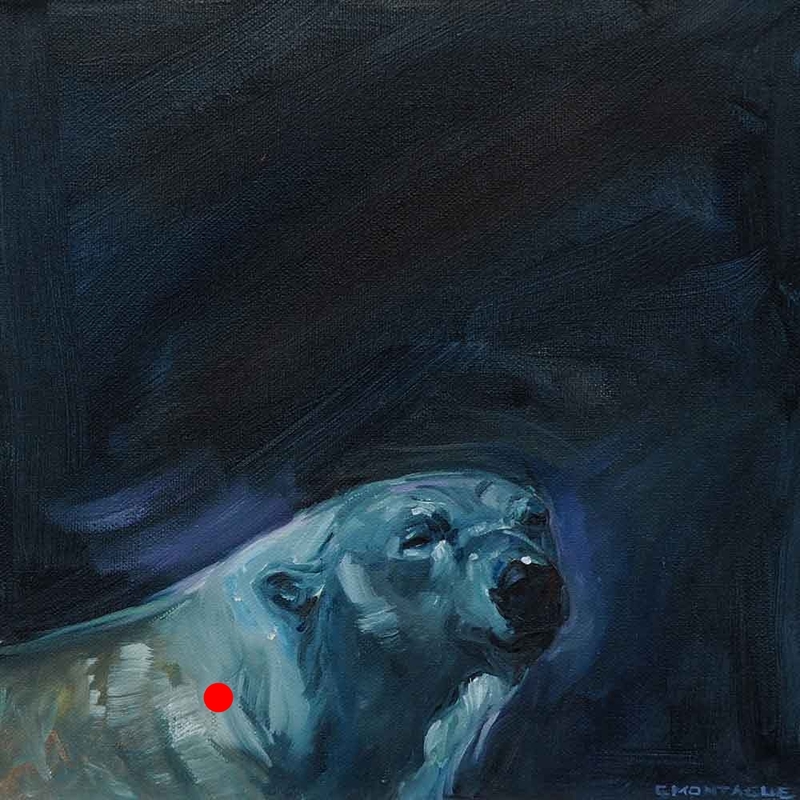 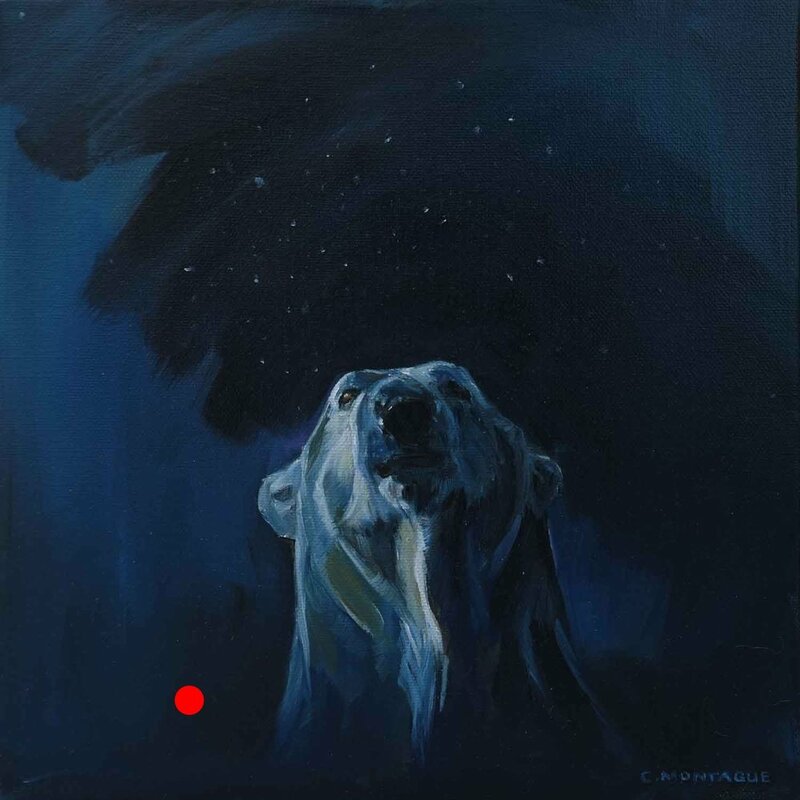 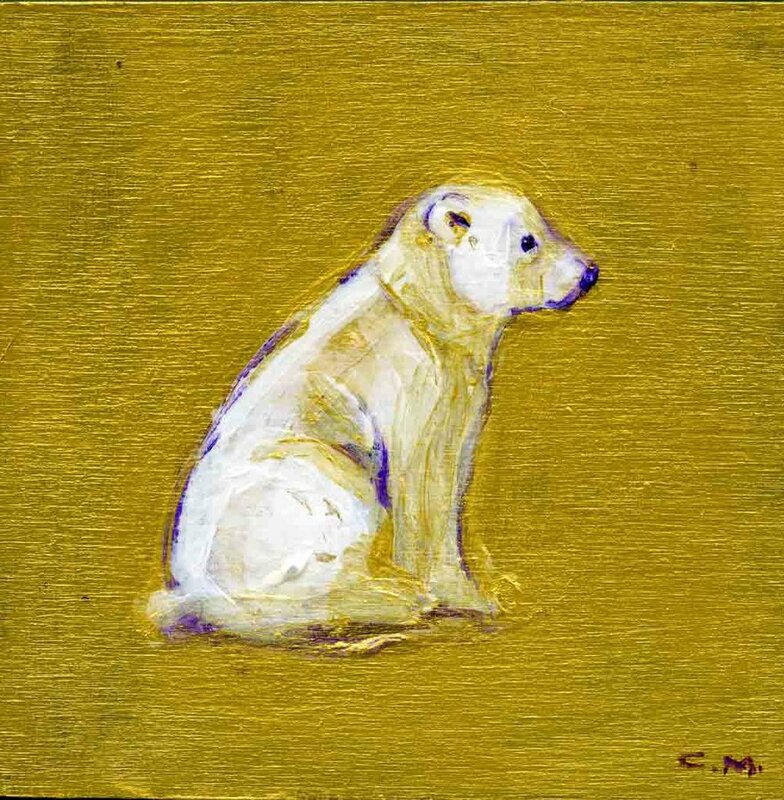 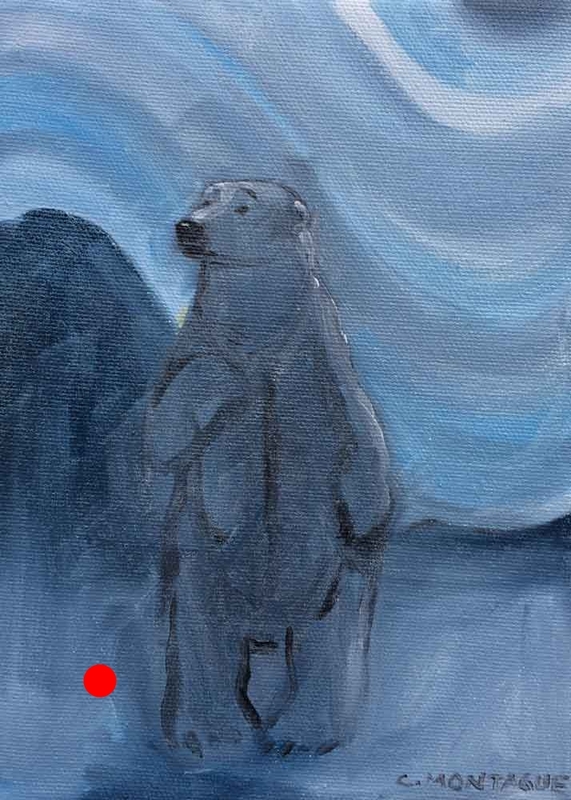 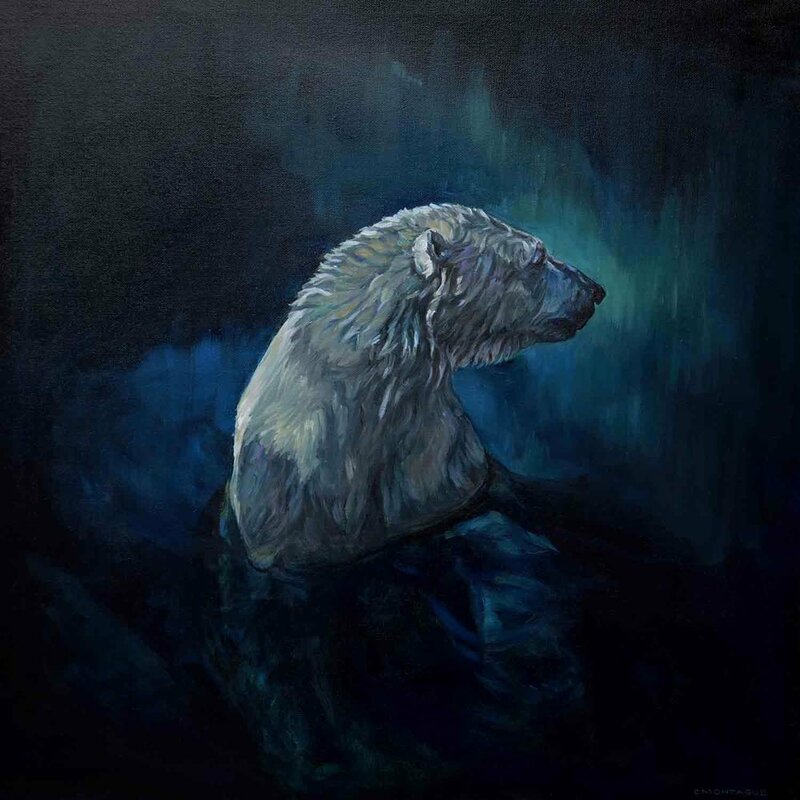 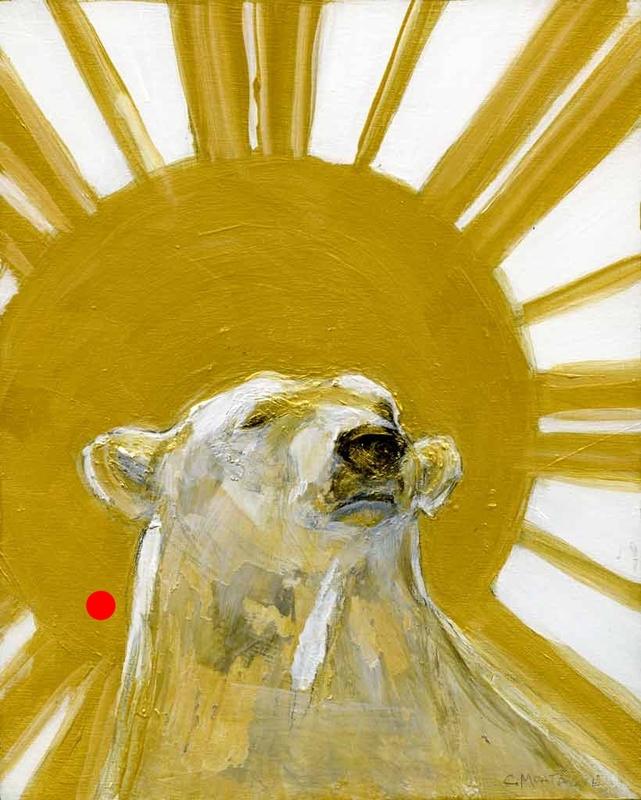 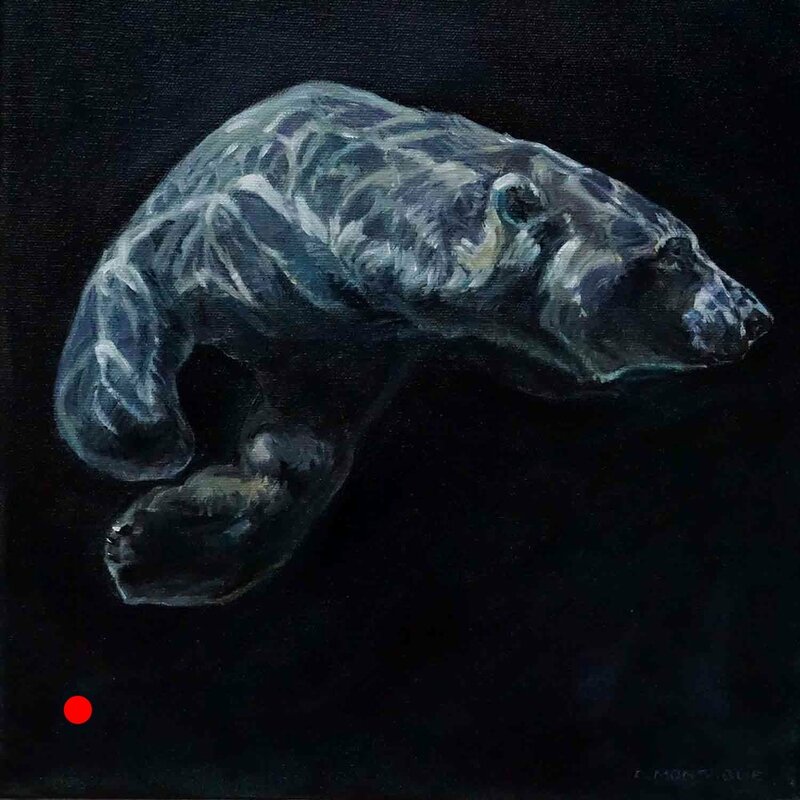 The polar bear cub painting below comments on sea ice loss and its effect on polar bears. 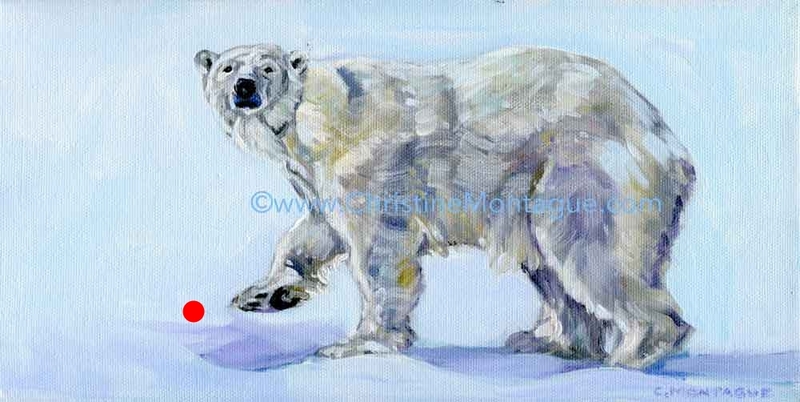 You may know that, thanks to climate change (global warming) mother polar bears, polar bear cub(s) atop their back, must swim greater distances in search of ice tops on which to hunt, rest, feed and occasionally den. 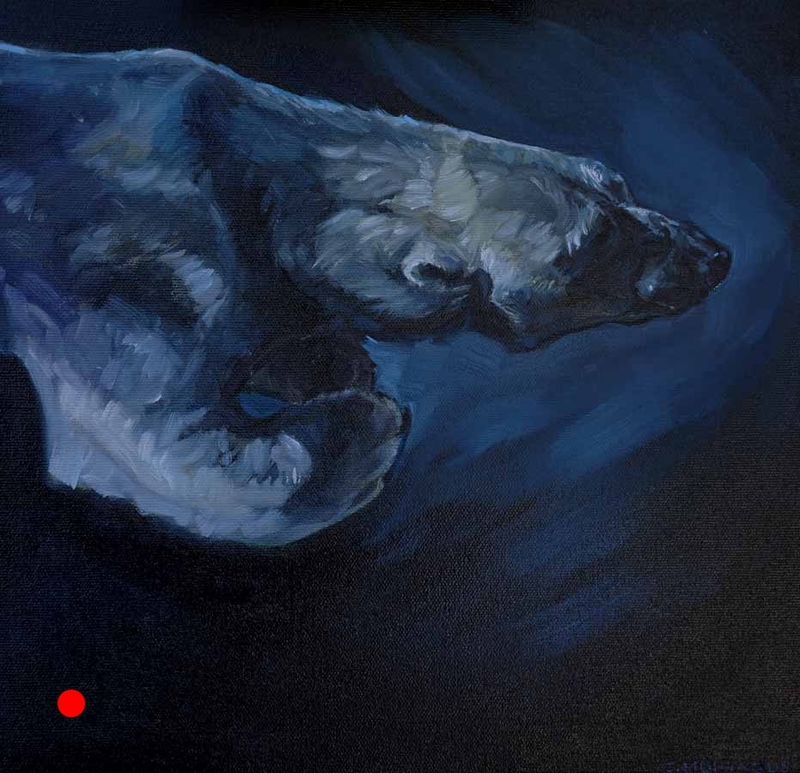 The greater distances, and greater sea ice loss, means these trips, are not always successful. 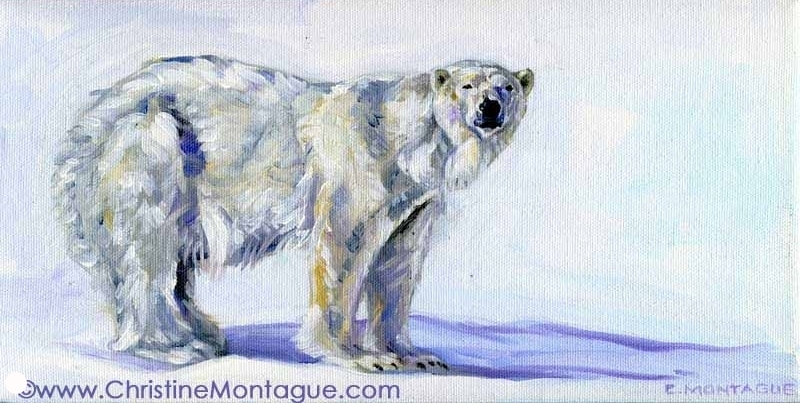 Polar bear cubs just simply vanish along the route, and sometimes the mothers do, too. 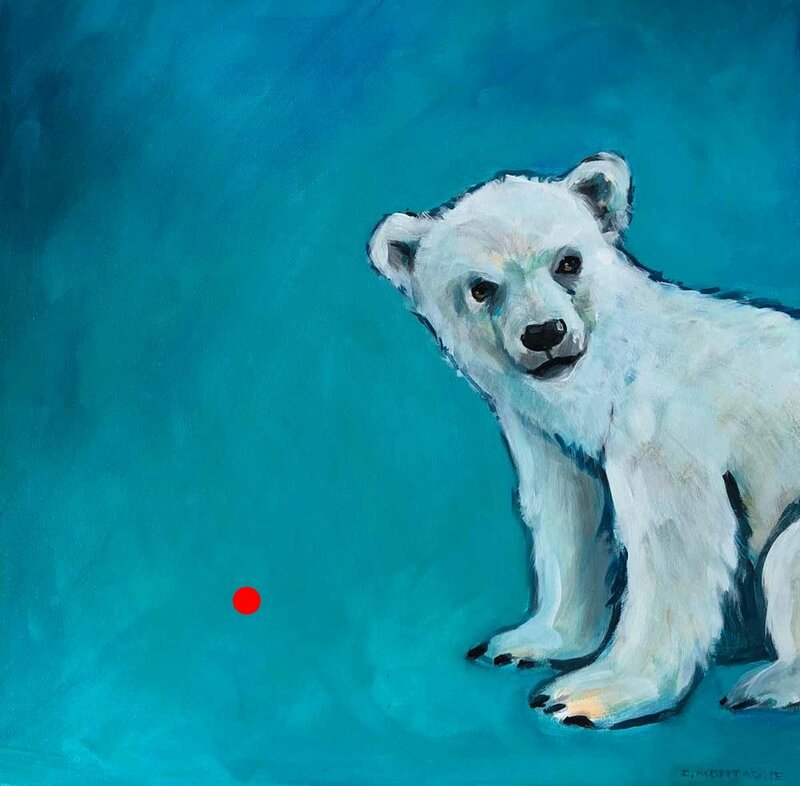 I've heard some human babies continue to play as they sink to the bottom of the swimming pool, unaware they are in danger of drowning. 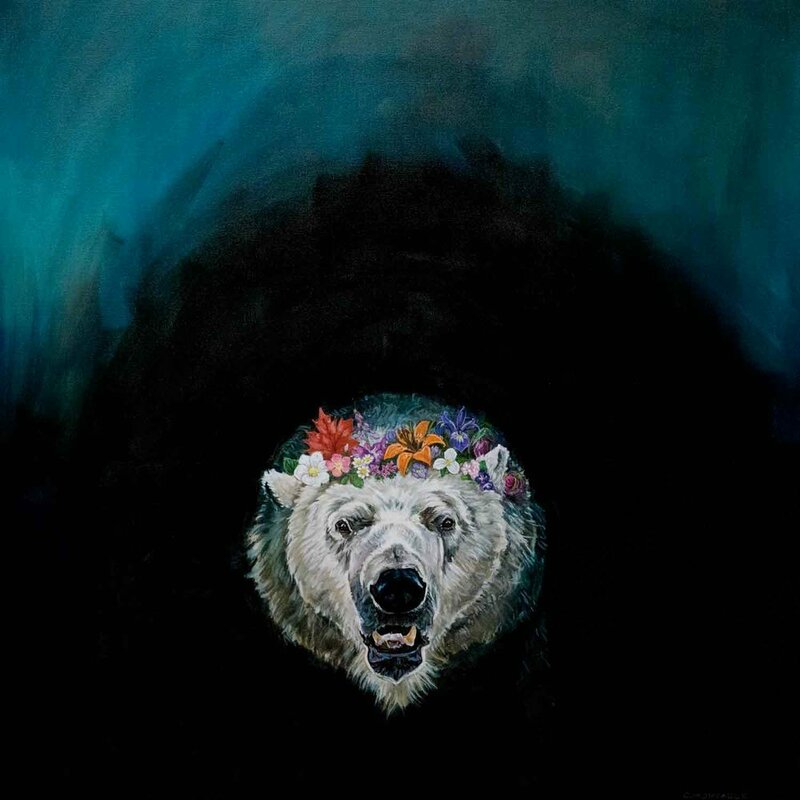 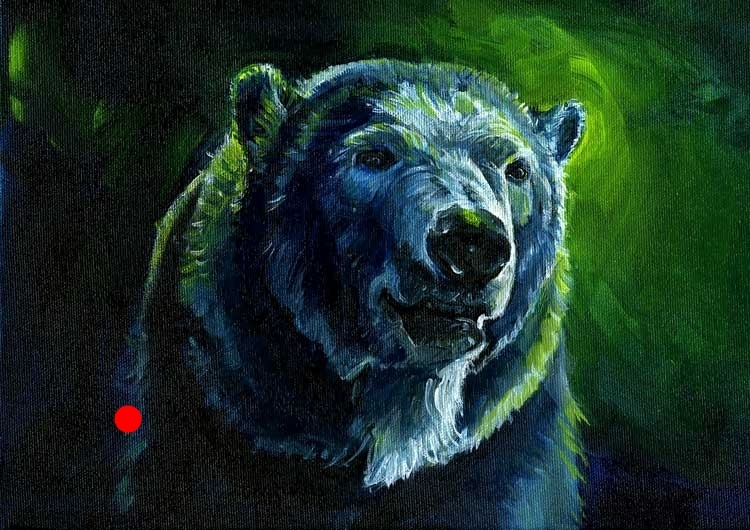 I don't know if this is actually true, but, with this concept in mind, I've painted this little bear. 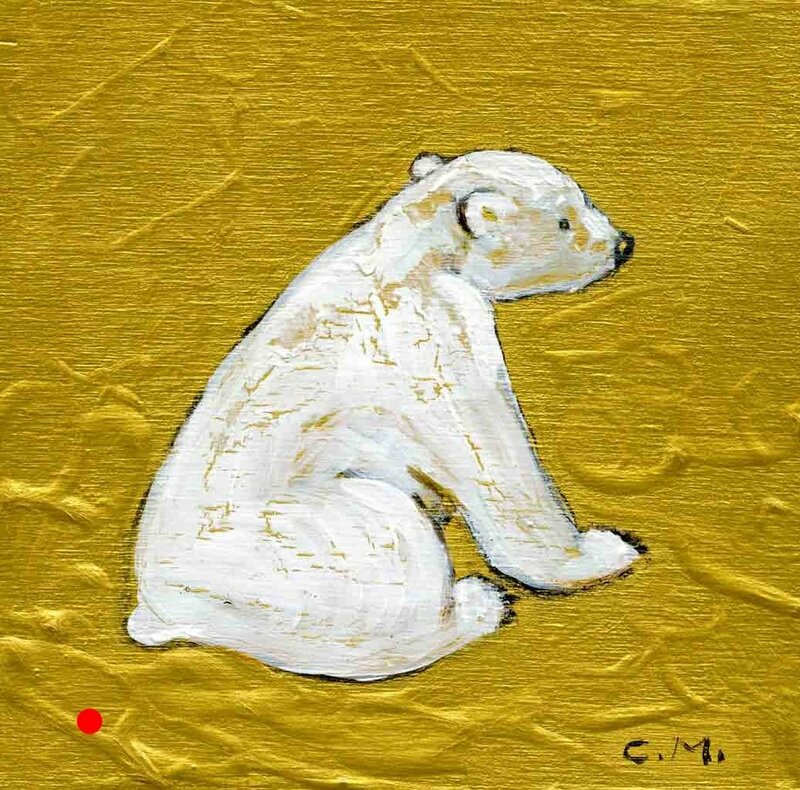 This polar bear cub is under water, and not in distress. 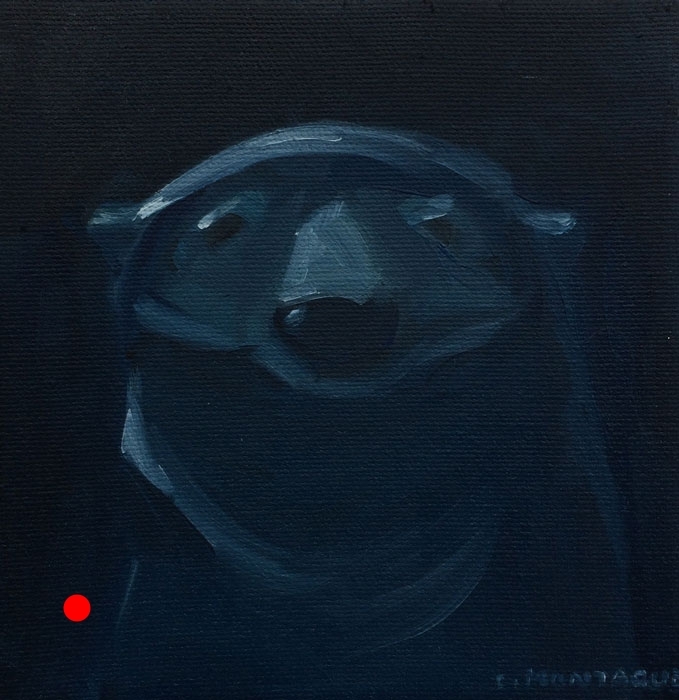 It's looking right at us though, leaving us to decide the innocence or tragedy of the scene. 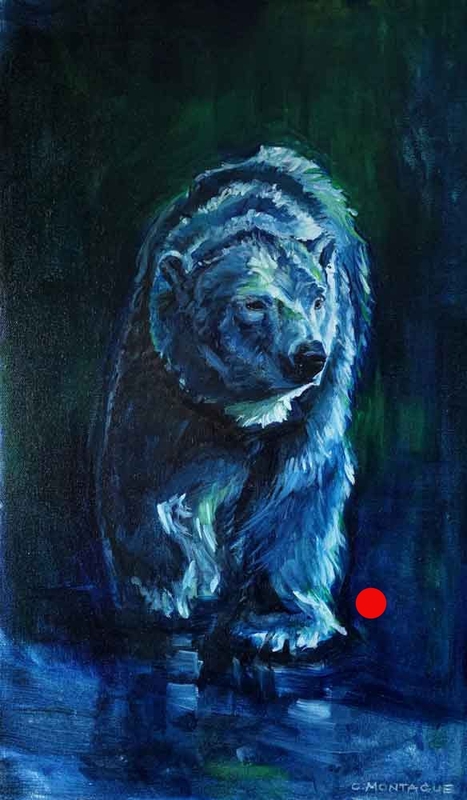 What do you think happens next? 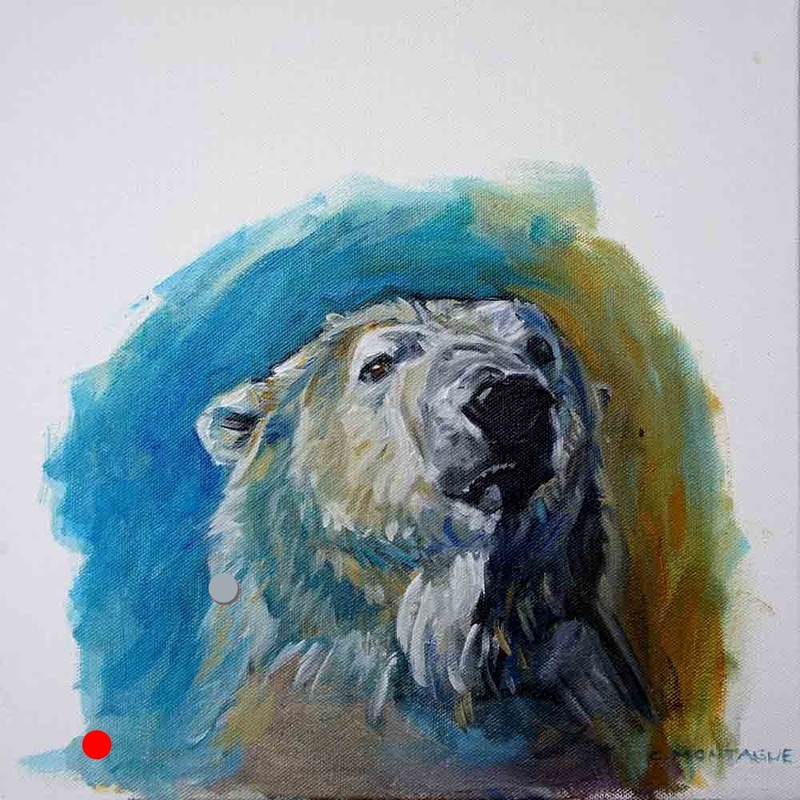 For everything polar bear, please visit Polar Bears International, the not for profit organization noted for their research and advocacy roles re: sea ice loss and effect on polar bear life.